Starting Friday, August 3rd, NH State Parks is launching a weekend hiker shuttle service aimed at service between the Peabody Lot (at Cannon Ski Area) and major trailheads at Lafayette Place and Old Bridal Path/Falling Waters. Please see the press release from the NH State Parks and information about the shuttle. 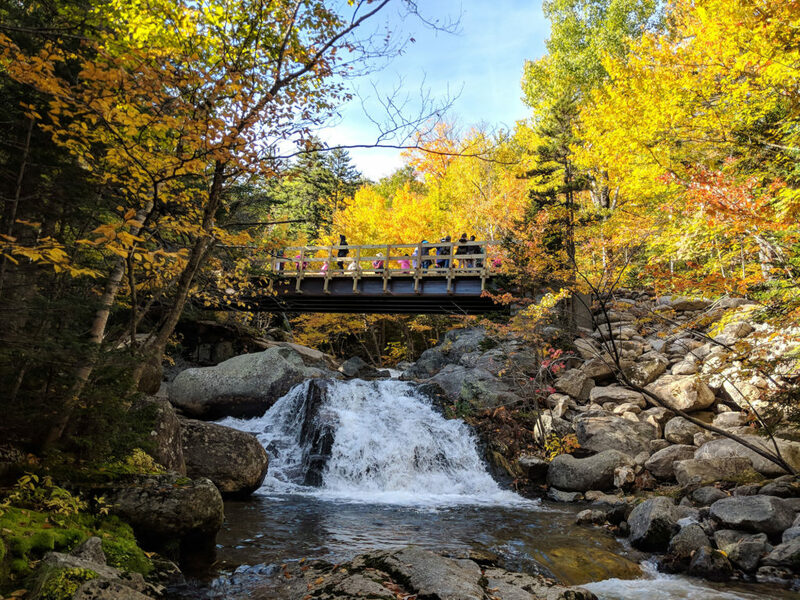 The U.S. Forest Service – White Mountain National Forest has completed both bridges on the Tuckerman Ravine Trail. All detours have been removed! Increasing use of trails and growing numbers of visitors in the White Mountains region can make it a challenge to find a place to park in designated parking areas, particularly within Franconia Notch State Park. The State of New Hampshire is reminding visitors that parking along the Franconia Notch Parkway/Interstate 93 is prohibited. Here are parking tips to consider when planning your hike within the park. Due to rehabilitation work on a culvert just south of the AMC Highland Center during the summer and early fall of 2018, parking for some nearby trails will be limited. We want to encourage hikers to arrive early, carpool if possible, and come visit our friendly front desk staff if you have questions.